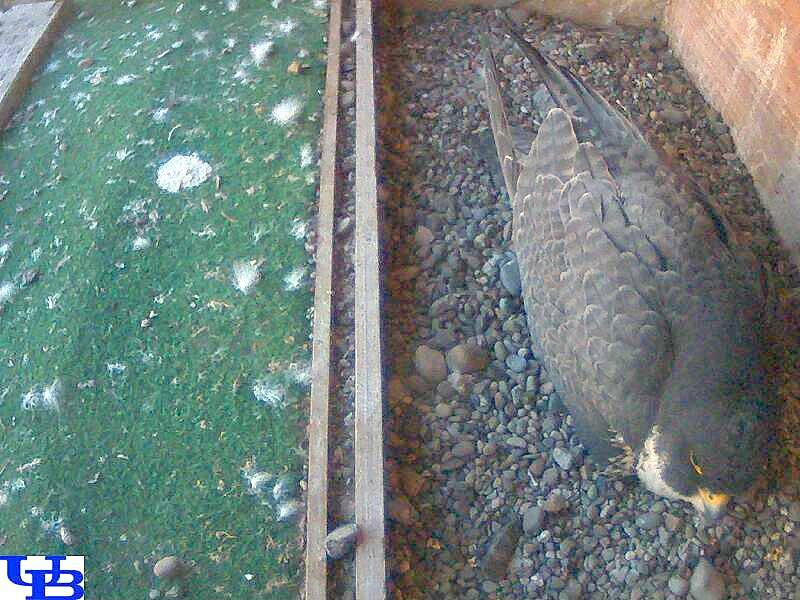 BB continued to sit on her eggs for the rest of yesterday after the fight. The third bird came right into the nest and was talon-locked with BB, with Yankee helping. Yankee then chased the intruder from the nest area. 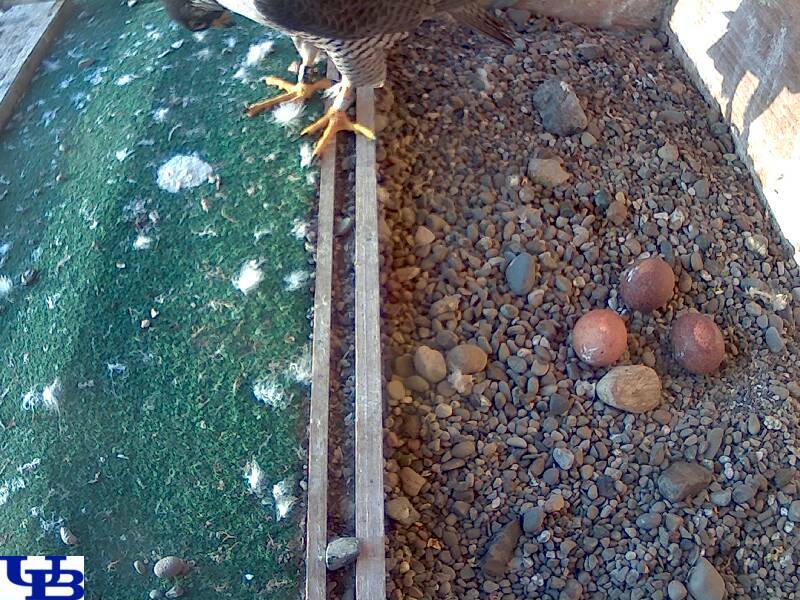 I was concerned as to whether the incubation process would be abandoned after such an interruption but luckily things are back on track and BB has laid another egg! This the fourth egg laid but the nest now has just the three eggs. Maybe there will be another egg this weekend. The three eggs and the pet rock, all neatly placed for incubation. And now, what everyone has been waiting for...drumroll please..., ~UB Pefacam~ !!! The cam image is high-def and refreshes every ten seconds. Thanks to Al, Ken, Jeff and all the all others who got this cam up and running without much lead time! Excellent job, guys! North Grand Island Bridge - even with scope we can't be sure, but maybe bird in box. Central Terminal - Stella perched at nestbox, ee-chupping to male, on high corner. There both flew around the tower together and perched in different places. No mating acitivity while we were there.